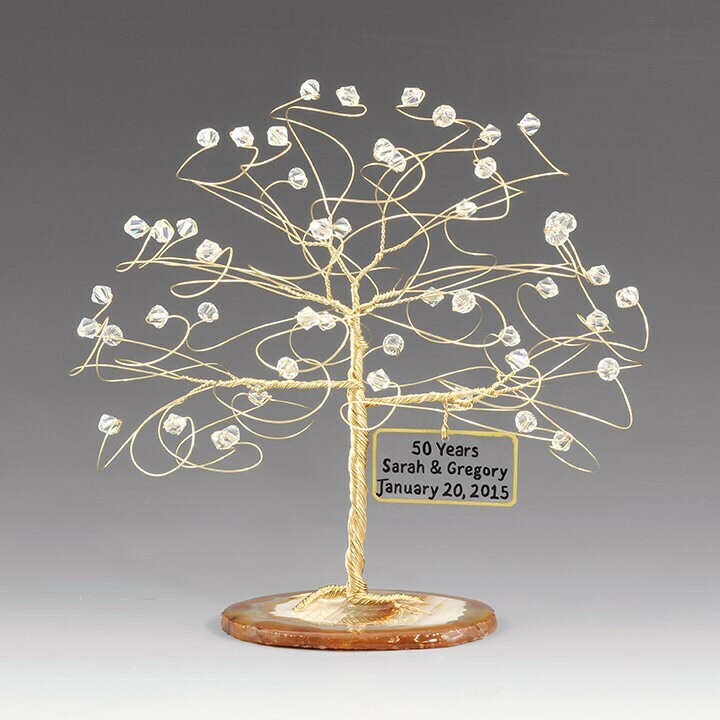 Personalized 50th anniversary cake topper measuring 6" x 6". Great for any anniversary! 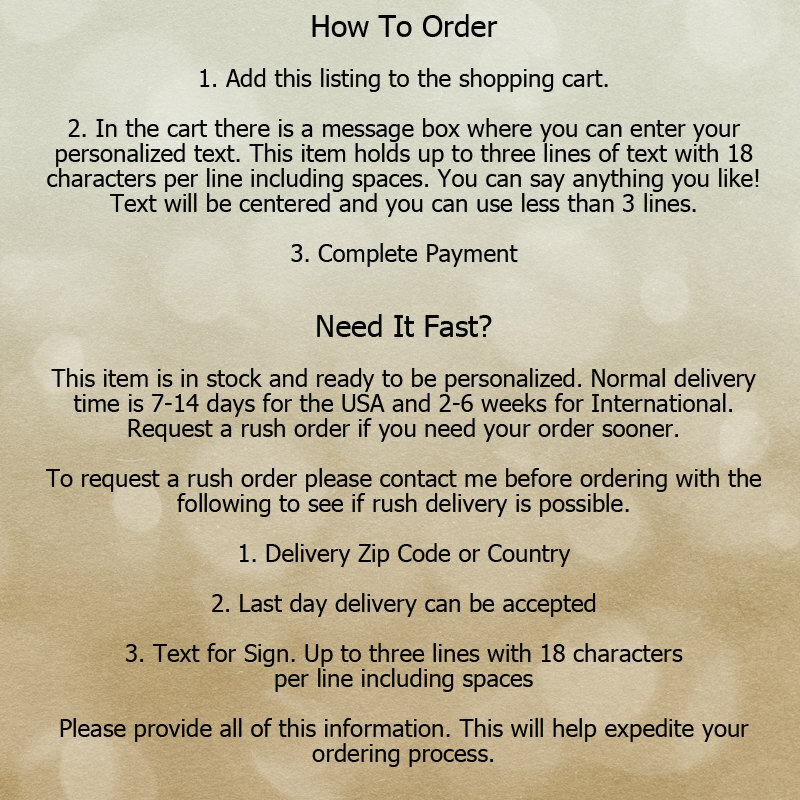 Personalize with event date or wedding date, number of years, names, or any other text you prefer. Created with clear swarovski crystal elements. Select your choice of no mirror or mirror from the drop down box. Normal base is an agate slab, with the mirror the agate slab is attached to a 5" round mirror and dotted with clear crystals as fallen leaves. 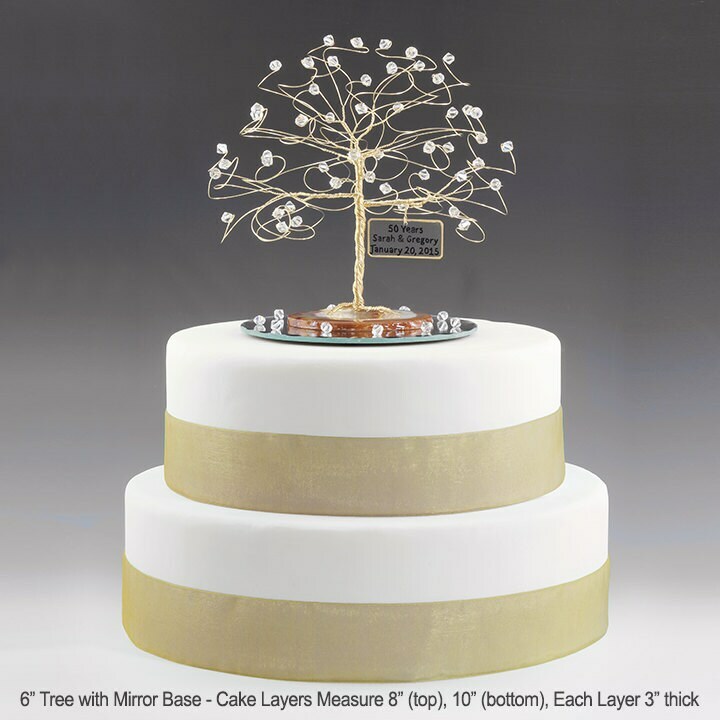 This tree measures approx 6" x 6" and is created from your choice of gold non-tarnish wire. All 50 branches end in genuine swarovski crystal elements and the base is a slice of natural brazilian agate. Weight is about 4oz without the mirror and about 6oz with the mirror. Mirror is a 5" round attached under the agate slab and dotted with fallen leaf beads in your colors. The name sign is handmade out of clear acrylic. The text will be handwritten in black and the border will be gold metallic to match your choice of wire. Print is on one side and can be seen through the back of the sign. Absolutely beautiful! Can't wait to get it on to of the cake! This item is beautiful and well made. It arrived quickly and we loved it. Lots of compliments from everyone. It was a beautiful cake topper for our anniversary. 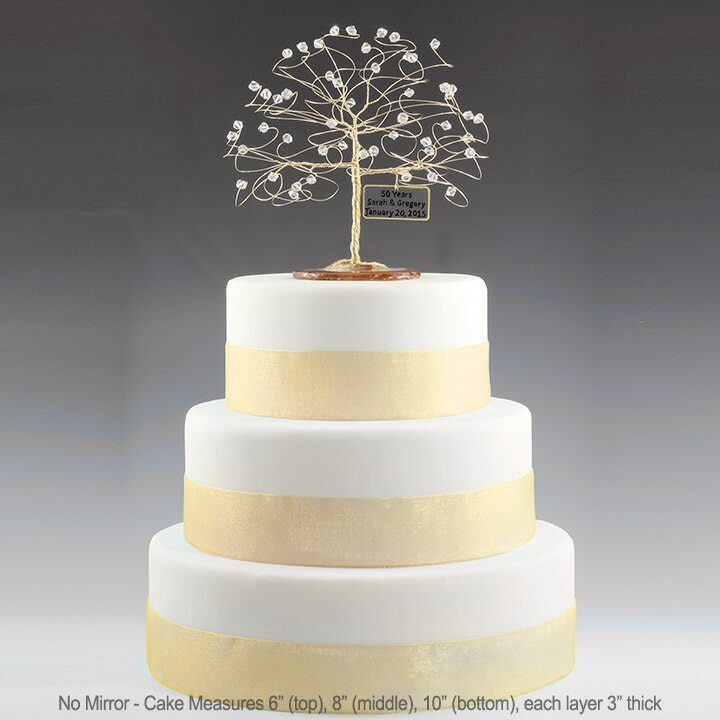 Shipping was extremely fast and the anniversary tree cake topper is absolutely beautiful. My parents will love it and they can keep it forever. Would definitely order again! !